Bluffing is an advanced poker strategy that many poker players tend to use. But, if you want to make money with a strong, or even a mediocre hand, you should know how and when to induce your opponents to bluff. 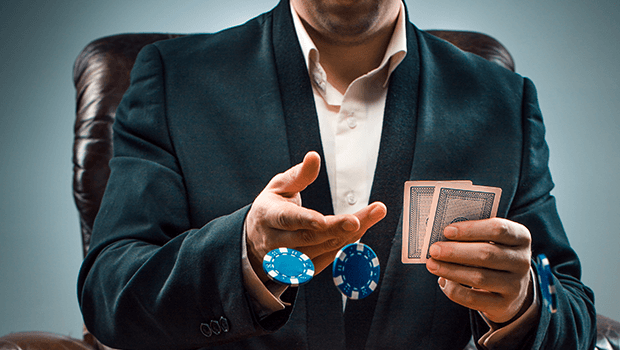 Inducing a bluff is a strategy that should be considered only after you have gained a good command over the game, and are comfortable using several strategies to win. This strategy is not really meant to help you win the game, but to increase your gains when you have a good hand and are sure of winning. Bluffing is one of the strategies that makes poker the exciting game that it is. But, it is also a risky tactic, which is why experienced players tend to use it minimally. To bluff is to make your opponents believe you have a strong hand, when you actually don’t, by raising your bet considerably. By doing so, the player aims at encouraging the opponents to fold and get a hold of the entire pot. So essentially, you would be bluffing to try and win with a weak hand. On the other hand, when you induce a bluff, you are creating a situation where the other players, with weaker hands, think that you are losing. This is a tactic that players use to win more money. When they have a good hand, they want the weaker hands to wager as much as they can. The first way to encourage the weaker players to bluff is by checking or calling instead of raising. When you call or check without giving any hint of your cards, the other players might hope that you have a weak hand. This will cause them to start betting more, even when they don’t have a strong hand. However, it is best to use this trick only when you have a strong hand. This way the risk of losing will be lesser when somebody uses the flop cards to make a real hand. Another way to induce a bluff is to make smaller bets, especially if you are in a heads up situation. When you make a big raise in a 'No Limit' game it can tip off the other players and make them fold, rather than raise. When you stick to small bets or increase them reasonably, you won’t leave the other players much to guess about. The weaker players may get tempted to get aggressive and bluff, which you can use to your advantage. However, this should be done only when you have a really good hand, and not just a mediocre one. Slowplay is a method that is used often to give your opponents the wrong idea about your cards. With this tactic, you not only encourage players with marginal hands to bet more, but you can also get the weaker ones to add to the pot. However, this technique may not always work. For instance, when you give your opponents enough time to get the cards they want for a strong hand, bluffing isn't an option. Another risk is that you could lose the chance of gaining from the value bets that the other players may have called. One of the best times to induce a bluff is before the flop, especially if you have a really strong hand and are situated in a late position. In such a case, raising a little will make it look like you have a mediocre or weaker hand, and that you are trying to steal the blinds. In case your opponents raise, which they are likely to do in this scenario, you can use the check-raise tactic at the flop. However, this tactic works best when you have top hands like AA, KK and QQ. Even if your opponents get a chance to make real hands, the chance of them beating you is very small. This can be a great way to induce a bluff from a player, who you think has missed a draw. If you feel that your opponent was on the draw, but could not complete the hand on river, it is best to check rather than bet. If the player has missed a draw and you place a value bet, you would only lead him to fold rather than continue. If you check on the river, you can encourage the player to try and bluff his way to the pot, giving yourself a good chance to make a profit.